Prefabricated Sports Buildings are being used in lots of sports nowadays. They provide flexibility, save building time and reduce costs. Hence, they are preferred for structures and even accessories like stands and seats for stadiums and gyms. Even prefabricated flooring options for various sports are quite in demand. Prefabricated Sports Buildings are available in various materials like steel, fiberglass, wood or aluminum, depending on the usage. Prefabricated Buildings can be used as a horse riding area, gymnasium, swimming pool enclosure, tennis court, ice hockey rink, driving range, basketball / volleyball court, paintball or fitness equipment facility. These buildings provide the essential columns-free openness and the ceiling space needed for such types of sports. Both the sportspersons and the spectators need to feel comfortable. Thus, all such Prefabricated Sports Buildings are fully customizable, with unlimited building sizes, ceiling heights, perfect lights, insulation, and a wide variety of colors and finishes. In addition, there are accessories to choose from, including sliding doors, roll-up doors, overhead doors, windows, seating systems, vents, skylights and wall lights. Flooring becomes an essential part of a Prefabricated Sports Building, since it can be ready along with the building itself, and offers portability and cost benefits. 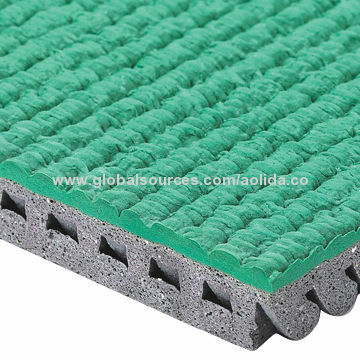 It can be overlaid on an existing floor and comes in panels, tiles or rolls. It is generally made from rubber and wood, depending on the need, and permits heavy usage. It can be found in many sportive colors and can be fixed permanently, if desired. It is considered ideal for tracks and play fields to have these prefabricated floorings. Once you have decided to go in for Prefabricated Sports Building, check out your needs carefully and approach the Prefabricated Buildings manufacturers either in your area or through the Internet. It is better to confirm the credentials of the company before placing the order.